From amazing music festivals to a winey night at the movies with man’s best friend (you’ll see), Melbourne’s got tons of cool stuff lined up for February. 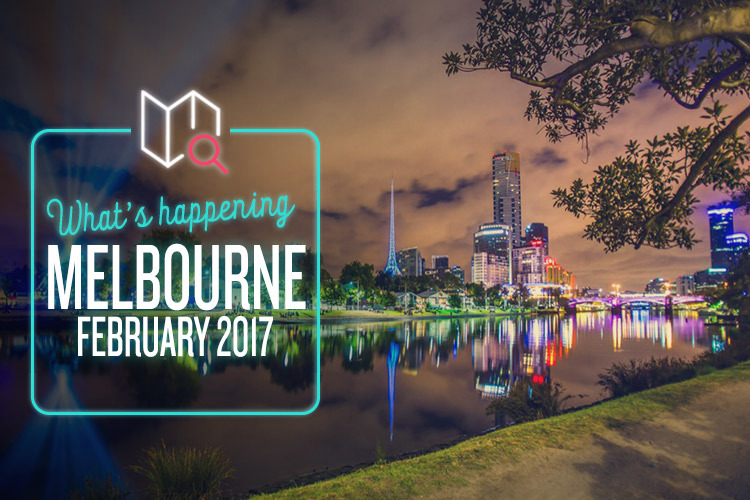 That’s right – White Night Melbourne is back for 2017. For one night only, this huge event transforms the city into a surreal and dreamlike state, flooded with art installations, music, film projections, live performances, light shows, interactive displays, and loads more. It draws an average of 500,000 spectators each year, and this year is bound to be bigger than ever. There’s so much to see and do, so grab your friends and get exploring. The St Kilda Festival is a long-running celebration of all that is good about music, summer and breezy beachside life. It’s one of the most significant dates on the Melbourne cultural calendar, with over 400,000 people pouring in from across the world to enjoy it every time. This year’s line-up is absolutely huge, spanning every conceivable genre and including such names as Emma Louise, Smoke Rings, Alexander Biggs, Mau Power, The Smith Street Band, Wallflower, and many, many others. There’s also plenty of food, market stalls, workshops, sports and exhibitions to keep you amused, so head down and see what’s what. As you can probably guess, this festival is all about the wonders of Japan, and it takes over Federation Square from noon to 6pm on Sunday the 26th. Stroll along and fill your belly with yakitori, takoyaki, and countless other treats, and spend hours browsing the fascinating markets for authentic souvenirs. There are heaps of arty-crafty activities to get stuck into, as well as fabulous performances and the chance to learn the famous Bon dance. Attendance is totally free, so have fun experiencing this vibrant and interesting culture! Don’t you love things that are exactly what they sound like? Especially when they sound like Doggy Winery Cinema! This unmissable event is the perfect combination of dogs, movies, and wine tasting, all in the gorgeous grounds of Witchmount Winery. You just need to bring your furry friend and a blanket or chair, and everything else will be taken care of. The movie is Red Dog: True Blue, and the winery’s own bevvies will be joined by Holgate beer and Daylesford cider. A huge selection of food is available too, along with all sorts of pre-movie entertainment. It’s about 45 minutes out from Melbourne, but well worth the trip! A caffeine-dependent life form working towards her MBA. Lover of local establishments and copious amounts of chocolate. I prefer my puns intended.